If we met at a resent festival or show and you don't see the item in my shop that you liked please send me a message. 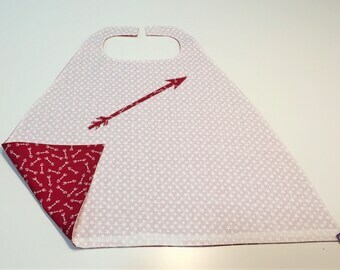 Tot Size - Heart Arrow Superhero Cape - Free Shipping in the USA! 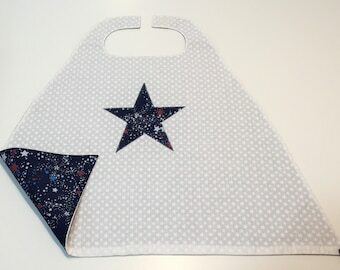 Tot Size - White Stars with Blue Red and Silver Sparkle Stars Cape - Free Shipping in USA! Tot Size - Pink Sparkle Princess Heart Cape - Free Shipping in the USA! This mask and cape are awesome. Super cute prints and a great size for little ones. My daughter loves it and doesn’t want to take it off! They are really well made, the Velcro is strong and stands up to the wear of kids taking it on and off themselves. I love that they wash so easily (since my daughter often wears it while eating). The shop owner was great in getting me this fast and exactly according to my wishes! Oh and I also ordered a pink ombré tutu, which is the fluffiest, loveliest tutu I’ve ever seen! Will definitely be ordering from this shop again!! 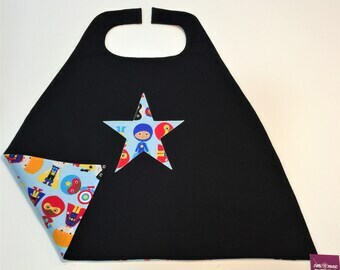 Children's Black Superhero Mask - Free Shipping in the USA!